I had previously been hosting this photo blog at blog.radiantviewphotography.com on my own web space. But, keeping the blog updated and, especially, updating the blog software whenever WordPress released a new version became tiring -- especially since the "automatic" updates never seemed to work, probably user error. So, I thought I would try blogspot. At the least it will prevent me from having to update the blog software and hopefully it will be easier to keep updated as well. 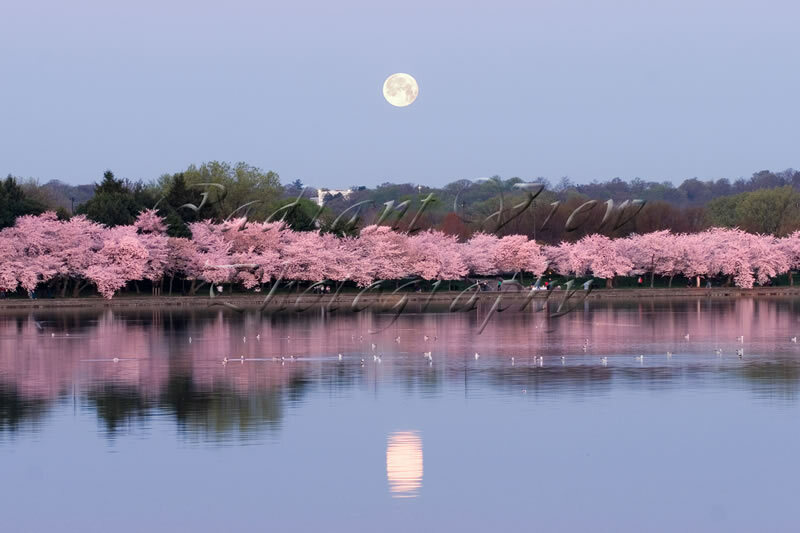 And just to get the photoblog started, I'll post one of my first, and still favorite, images taken of the cherry blossoms in Washington, D.C. as the full moon was setting.